Our Virtuous Young Ladies Summer Scholarship Program Completion Ceremony!!! Homepage Our Virtuous Young Ladies Summer Scholarship Program Completion Ceremony!!! 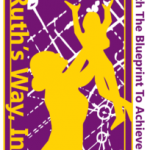 Congratulations to all of our Virtuous Young Ladies for their dedication, consistency, and tenacity in completing the Ruth’s Way, Inc. Virtuous Young Ladies Summer Scholarship Program!!! A very special thanks to our phenomenal speakers for gracing us today with your testimonies and words of wisdom for our young ladies as they carry out their journeys of achieving their MOST successful futures possible and showing the world the VIRTUOUS YOUNG LADY WITHIN THEM!!! – Nicole Narvaez Manns: Entrepreneur, Founder/Creator of Nikki’s Magic Wand, Vice President/Manager, Affirmative Action Compliance at the Bank of New York Mellon. – Vince Elliott Dwayne: College Access Manager at YouthPlaces, College and Career Exploration Program. – Cynthia James: President and Chief Executive Officer (CEO) of YouthPlaces. – Bridgette Kennedy-Riske: Admissions Coordinator/Community Liaison for Bidwell Training Center. – Stephanie Harper: Vice President, Human Resources Business Partner for the Bank of New York Mellon. – Cindy Cohen: Entrepreneur, Founder of Cindy Cohen’s School of Driving. – Dr. Mark Guy: Physician, Allegheny Health Network.